Since word got out on Friday that Denise Whining trademarked the term Hon, the outcry against her corny, crummy restaurant and her slimy, anti-social business practices has been nearly universal, with some of the best writing on the topic coming from sources like The Sun’s editorial page, columnist Dan Rodricks, Gutter Magazine, the Baltimore Brew, and Smile, Hon via Baltimore or Less. We’re not going to editorialize here about how Cafe Hon has been insulting, demeaning, and exploiting Baltimoreans for years. We’ve already spent the weekend doing that in the comment sections of blogs like this one. We’re not going to point out that the real Hons are hanging around in bars that don’t need to be branded. And we’re not even going to call for a general boycott, because (as has been pointed out) we weren’t in the habit of eating or drinking there in the first place. Nope. What we are going to do is to take this opportunity to bring your attention to three places, three nearby places, which offer better food and drink with friendlier service at lower prices. The Dizz bills itself as “Baltimore in a bar,” and while that slogan might sound a little hokey, they do deliver. The former Dizzy Issie’s is one of the friendliest and most comfortable bars around, and even caters to your out-of-town touristy friends via the Charm City Cakes connection. Great as it is though, we like the new Dizz Grandview even better. The menu and atmosphere up at ‘Dementia Issie’s’ are direct clones of the original, and the place is an instant favorite for happy hour drinks. There’s a TV in there, but you won’t see much of it. You’ll be too busy watching the sun go down and the lights of the entire city flicker on one by one. At the first sign of snow, you can bet we’ll be strapping on our boots and walking over to Roland Avenue to spend the entire day drinking Grand Marnier and watching a blanket of snow descend on the Land of Pleasant Living. Update: Unfortunately, the Dizz Grandview closed in May 2011. The original location is still going strong. Anyone looking for good food and drinks in Hampden would be well advised to go around the corner from the Avenue and take a table at McCabe’s. In fact, if you were to correct the myriad criticisms of Cafe Hon, the place you’d end up with would be very much like McCabe’s, and we’d venture that anyone who’s dined or drunk there would fain go hungry than to eat beneath that damn Flamingo again. The menus may be similar, with both serving up comfort food staples like crabcakes, burgers, cole slaw, etc, but the execution is worlds apart. The sophistication of the dishes at the new McCabe’s is matched and complemented by the wine and cocktail options behind the bar, and the friendly service and finished decor allow diners to feel more like adults enjoying their meals than reluctant players in some day-glo cartoon church supper farce. A bit further up Roland but still in easy walking distance is Alonso’s/Loco Hombre . Anchoring a quaint block of shops and restaurants on West Cold Spring, Alonso’s can sometimes give you a little of that off-the-beaten-path feeling which can be hard to come by in Baltimore Bars. With two full menus under one roof and a well-earned reputation as one of the better beer bars around, Alonso’s has something to offer everyone, and they pull crowds from all walks of life. There’s no shortage of Loyola and Notre Dame students as well as TV Hill types, Roland Springs/Roland Park locals, sports fans, beer geeks and even a few refugee Hons. Alonso’s has even recently opened up another bar on their top floor. Already known as an excellent choice for football viewing, the upstairs “Alonsoville” bar boasts 7 TV’s, and is a great setting for Ravens fans who are well beyond their collegiate loud-and-rowdy bucket-of-Miller-Lite-and-keep-em-coming days. Of course, these three excellent choices are only the tip of the iceberg. The truth is that you could have an excellent meal every night of the week in a different 36th street restaurant (like Grano, Frazier’s, Golden West, 13.5%, Dogwood, Holy Frijoles, or the brand new Alchemy) without deigning to set foot inside of Cafe Hon. With options like that, who needs a boycott? It’s called the free market, Hon. Alonso’s/Loco Hombre is at 415 W. Cold Spring Lane in Roland Springs. The Dizz Grandview is at 3838 Roland Ave. on the 15th floor in Hampden. McCabe’s is at 3845 Falls Road, Hampden. I’ve been boycotting Cafe Hon for precisely those reasons for years, although I haven’t made it to High Rise Dizzie Issies yet; I’ve heard the elevator is a bit… well, aging. One needs to pull stunts like trademarking words and refusing to pay fees to the city for signage (unlike all your neighbors) in order to garner publicity, because the food SURE as hell won’t make a person go back a second time. How could you forget to include Rocket to Venus and Grano’s in this list of alternatives to Cafe Hon? Rocket to Venus is a fantastic and unique experience (for me at least) and to me, it is just one more example of why Hampden is so special. Grano’s is just fabulous and comfy. Okay, there are no Hons there (there are no Hons in Rocket to Venus either), but the food is great and the atmosphere is lovely. 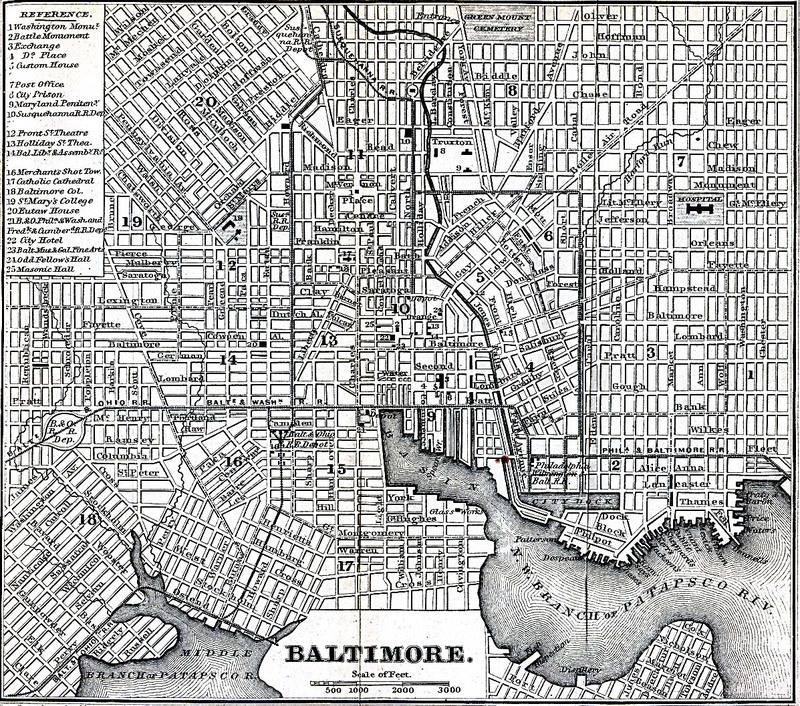 Baltimore is not just for Hons any more. This isn’t meant to be a comprehensive Hampden restaurant guide, although Grano is mentioned. I chose to focus on three places with menus similar to Cafe Hon. Most people don’t say to themselves “I was in the mood for a burger, but hell, guess I’ll have a bowl of pasta or a burrito instead.” While most restaurants in Hampden are very good, I believe these three represent Cafe Hon’s closest competition. Rocket is fantastic! So is Suzie Sobos and golden west! Viva la hampden! The Dizz (either location) is hands down one of the best places to eat and drink in the general area. I’ve never had a bad meal, always have a great time. Good call on the Sky Dizz (although I do enjoy your name as well) being a good snow spot. Dying to check out Dizz Grandview. Definitely will meet you there for the first snow. For me and my friends – The boycott has officially begun. If you like owners with an attitude, support them. My crowd will keep supporting Granos and the new Dogwood. I have been boycotting Cafe Hon for close to 20 years and will continue to do so. It is good to have everyone else seeing whay I saw all those years ago. Finally. Thanks Denise Whiting for being so stupid!! !